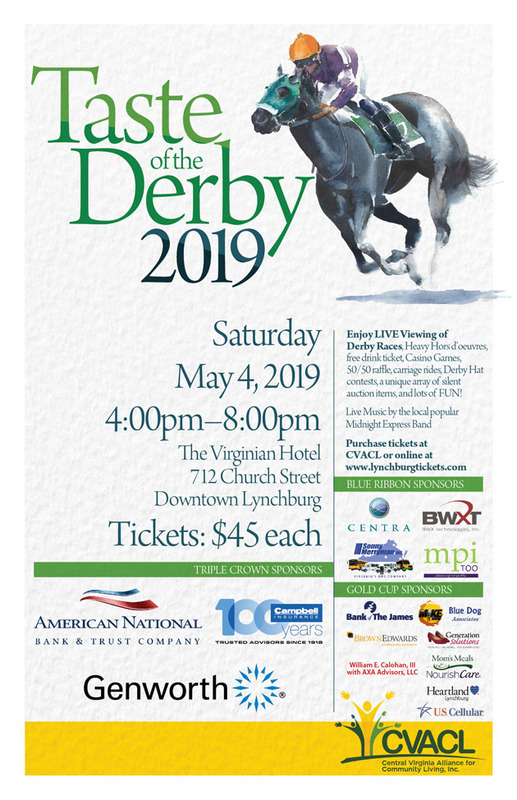 Enjoy LIVE Viewing of Derby Races, Heavy Horsd'oeuvres, free drink ticket, Casino Games, 50/50 raffle, carriage rides, Derby Hat contests, a unique array of silent auction items, and lots of FUN! Live Music by the local popular Midnight Express Band. Central Virginia Alliance for Community Living, Inc. (CVACL) envisions a community where all individuals, regardless of age or disability, maintain independence, dignity, equal rights, and a meaningful life based on their own personal choices. The organization will actively engage in the mission of supporting older adults and adults with disabilities to live in accordance with these principles.